We are always happy to see new reviews and comments about Tim the Fox. The fact that people talk about us and leave comments means for us that we are moving in the right direction. Today we have prepared a selection of the latest related articles. And we would like to specially point out an interesting Dell Foxglove pad review on Real Moms Real View blog. 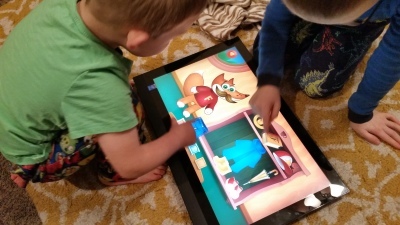 We noticed it on the photo that children are playing Tim the Fox for Windows version. Thank you, Hollie!